Tune In to Morning Dew NOW! ~ 1:00 - 3:00 AM (EDT) ~ 99.5 FM ~ Also Streaming Globally at http://www.wbai.org" onclick="window.open(this.href);return false; ~ Your Morning Dew Crew Host tonight is Don Grossinger who will have fun with May Birthdays ~ You'll be amazed at how many musical luminaries share the cusp of Taurus and Gemini Birth dates!!! You'll hear a LOCKN 2016 Review On "Morning Dew" ! ~ WIN FREE TIX TO BRUCE HORNSBY (9/08) or GREENSKY BLUEGRASS/CABINET (9/17) at The Capitol Theatre by answering the "Mystery Question" ~ What song by The Rolling Stones did we play on the "Morning Dew" program?! Email your answer to <morningdew@wbai.org> ~ Supplies limited, First come, First Served!!! This Saturday Nite (Late) from New York City.. Featured last week was some killer Greensky Bluegrass at The Capitol Theatre and Phil Lesh's recent Coney Island performance with Karl Denson and Eric Krasno's Shady Horn section, with a little Keith Kenny thrown in!!! Tune In 1:00 – 3:00 AM (EDT) to Morning Dew ~ WBAI 99.5 FM ~ Streaming at http://www.wbai.org ~ Tonight we are offering copies of CHANGESONEBOWIE to the first 10 new or renewing $35 memberships to WBAI ! We also have ONE COPY of the newly released 12 CD David Bowie Box Set ~ “Who Can I Be Now?”. A $200 pledge takes it! We also have Tix to CHRIS ROBINSON BROTHERHOOD (11/19) and THE WAILERS (10/27) for just a $10/mo pledge (12 months min.) ! Join Don, Stu & Bob as they bring you all this great music !!! email us at <morningdew@wbai.org> if you want concert Tix!!! Our membership drive includes chances to win concert Tickets to the following shows at a min. pledge level. Join us on "Morning Dew" 1:00 - 3:00 AM (EST) Sunday (Late Sat Nite) on 99.5 FM Streaming Live at http://www.wbai.org Tonight we interview Elena & Boo of Hoboken's own Demolition String Band about their new CD "I wait for the light"... Plus a terrific set from Phil Lesh & Friends' Terrapin Crossroads venue in San Rafael, California! Supplies are limited. First come, first-served. Tonight on " Morning Dew " ~ 99.5 FM, http://www.wbai.org from 1:00 - 3:00 AM (EST) Sunday (Late Sat. 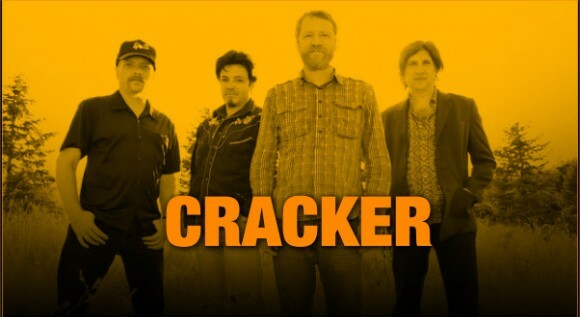 Nite), we have an In-Depth Interview with veteran CRACKER guitarist Johnny Hickman, in advance of their show (Jan 15) at BB Kings in NYC. You can also win various FREE Capitol Theatre Tickets shows by listening!